Inspired and informed by professionals like you, who are trying to fit 12 hours of productivity into an 8-hour work day, the Canon WG7700 Series is there day and night, by your side to cover your back. Businesses can count on the WG7700 Series for exceptional performance, every day, on every job. Fast print speed of up to 80 ppm*1 enables handling of high volume print with shorter waiting time. 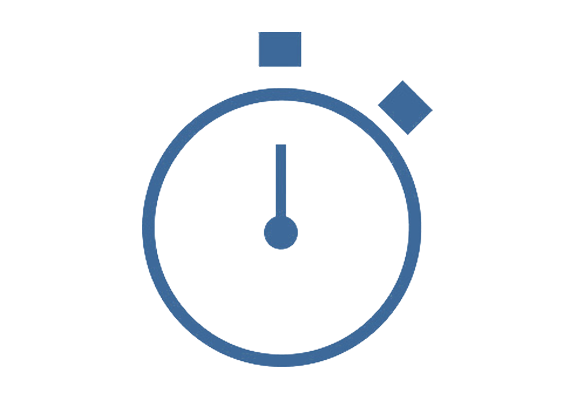 Less waiting time for your first print out*2 with the fast first page out speed of 6.5 seconds. 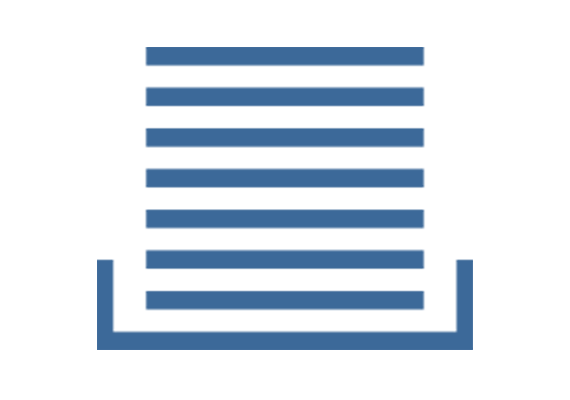 Rapidly digitize large volumes of documents for efficient file retention and data storage. Enhance your work efficiency and save time with the Single Pass Two-Sided Auto Document Feeder (ADF) by scanning both sides of a document simultaneously. High paper capacity of up to 2,250 sheets, reduces the frequency and time required to replenish paper during large print jobs. 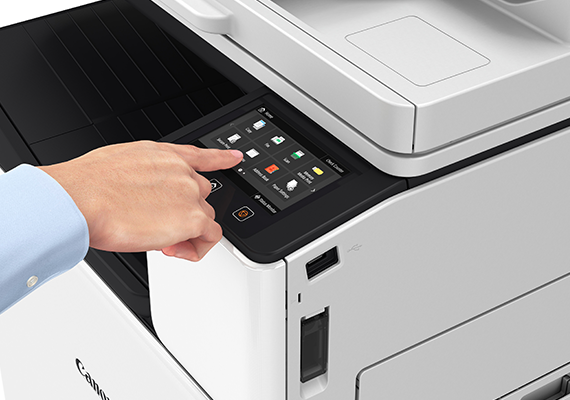 The WG series printers are designed for high volume printing, and are able to print up to 20,000 pages in monochrome and 16,500 pages in colour. 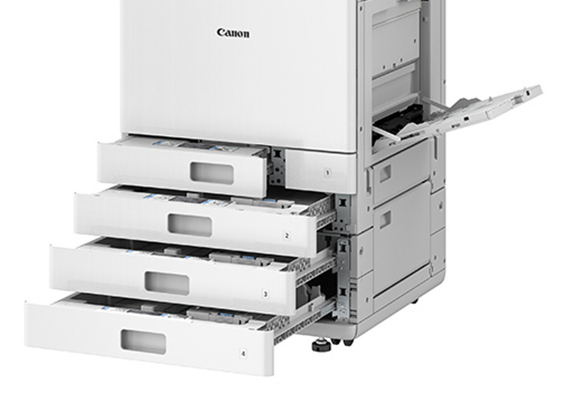 Featuring a straight-line, high-speed paper movement that reduces tension and stress on paper as well as incidences of paper jams, the WG7700 Series can effectively handle large print volumes at ease. 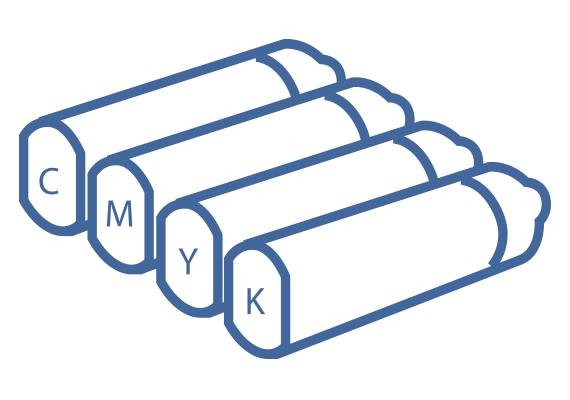 The new high-density, quick drying pigment ink formulation includes an anti-curl solvent, ensuring high quality printouts that are water-resistant and highlighter-proof, straight stacked and ready for binding immediately after printing. The newly developed line print head, spans the entire paper width and only paper moves while printing, delivering high speed and high quality print. 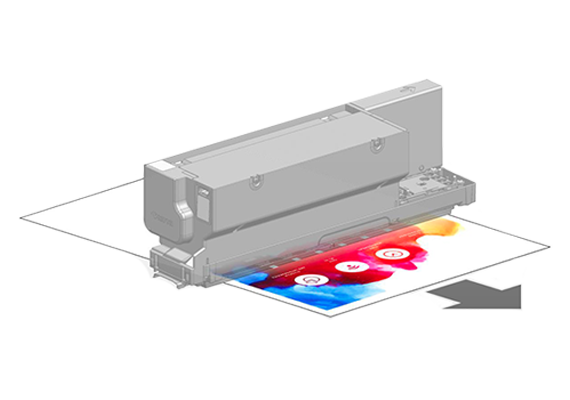 Featuring optical and in-nozzle sensors, the WG7700 Series can monitor ink ejection in real time and make adjustments for the best printing results. The Auto Document Feeder (ADF) maintenance kit is the only replacement part, and can easily be replaced by the user. 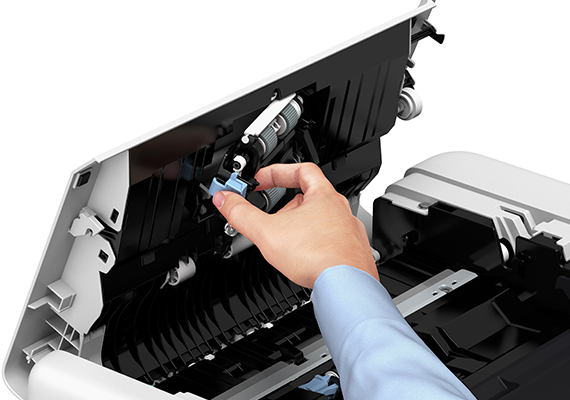 Even the ink cartridges and maintenance cartridges can be easily accessed from the front of the printer. 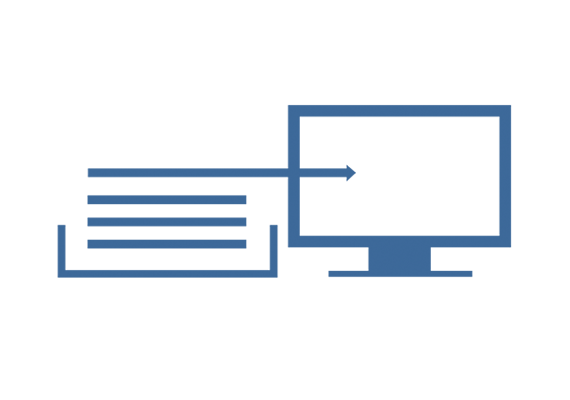 Support a wide range of media types such as envelopes, long paper and even matte photo paper, with various paper weights up to 256gsm and sizes up to 13” x 28”. 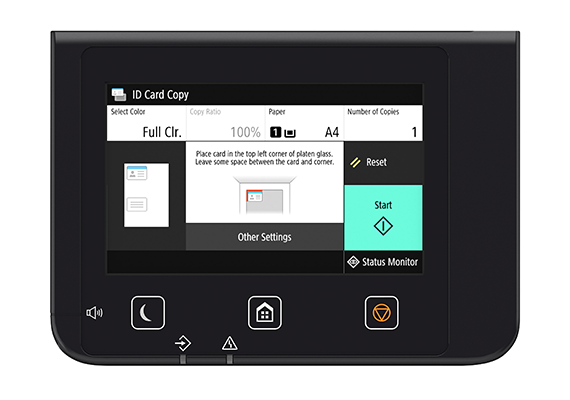 Easily print and scan directly to USB flash drive without using a computer, by using the easy access USB port next to the LCD touchscreen. 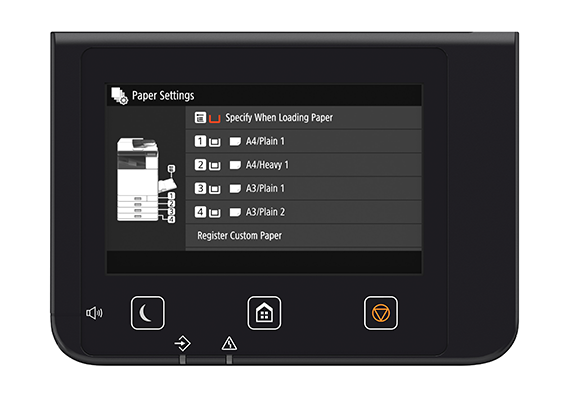 Easily navigate through all printer operations within one simple, intuitive touchscreen. 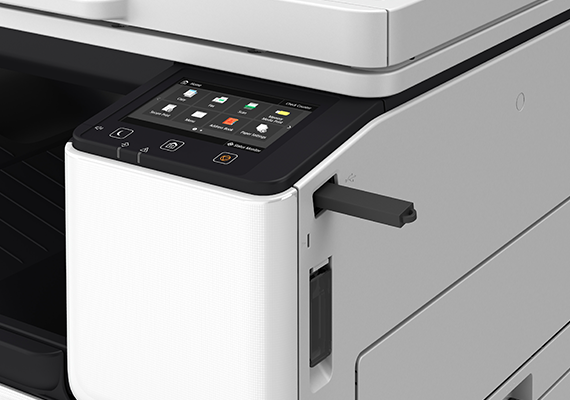 The user-friendly, 5-inch colour LCD touchscreen makes setting up the printer a breeze, even for first-timers, by displaying the instructions on-screen. 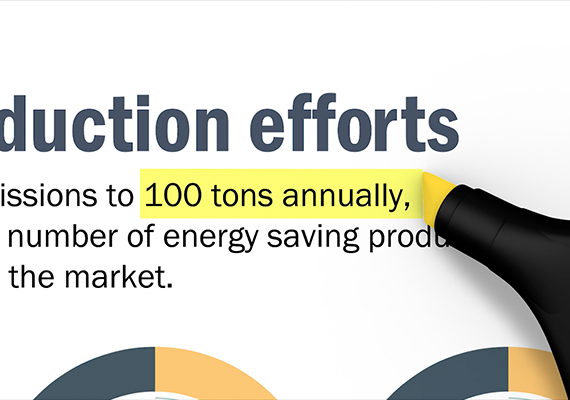 Eliminate the need to set paper sizes and reduce downtime from wrong settings or mismatches. 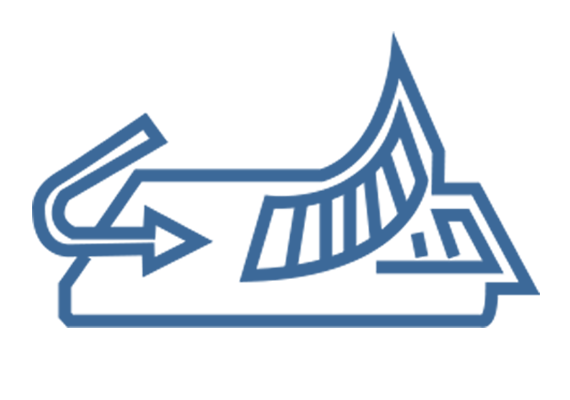 *1 Print Speed is based on ISO/IEC 24734. Measured in default mode (General Mode: 600dpi) / fast mode (Office Document Mode: 300dpi) and calculated by Canon original methodology. 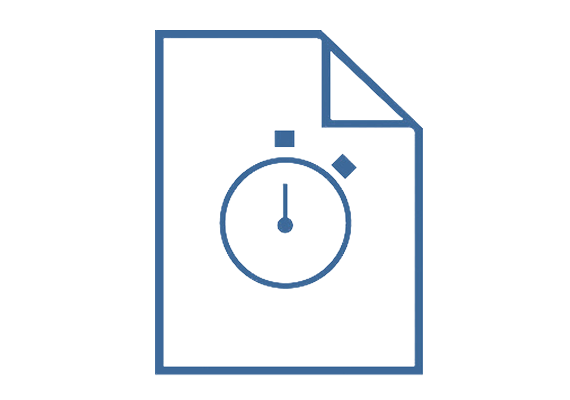 Print speed varies depending on system configuration, interface, software, content of document, print mode, media type, weight and used cassette etc. 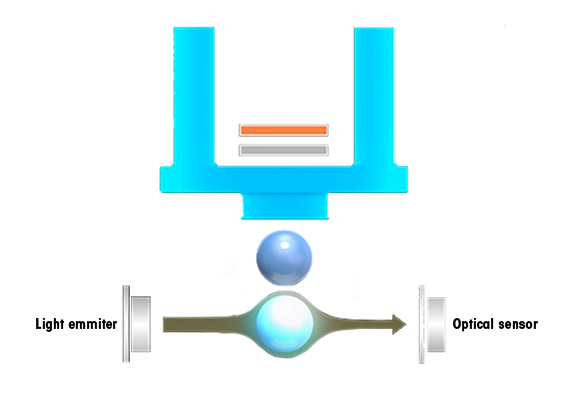 *2 Print Speed (FPOT) is based on ISO/IEC17629. 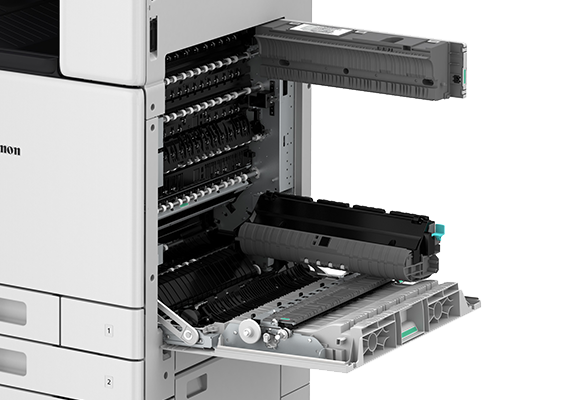 Print speed varies depending on system configuration, interface, software, content of document, print mode, media type, weight and used cassette etc. *3 “Jam Defying Design" refers to the WG7700 Series straight paper path designed to help reduce and prevent paper jams.